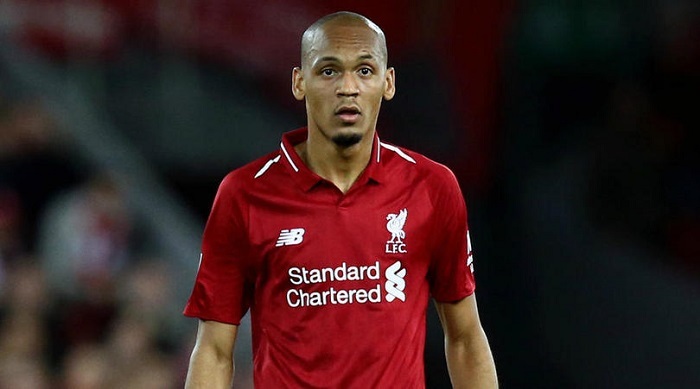 Liverpool manager Jurgen Klopp confirmed midfielder Fabinho would get his chance to impress against Red Star Belgrade in the Champions League. Fabinho, who turned 25 on Tuesday, has made just four appearances for the Premier League club since arriving from Monaco in the off-season. But with Jordan Henderson and Naby Keita sidelined due to hamstring injuries, the seven-time Brazil international is set to get an opportunity at Anfield on Wednesday. Klopp confirmed Fabinho would play a part and said the midfielder had slowly adapted to life at Liverpool. ‘Yes, it’s clear [he could play]. It’s his birthday by the way so would be a nice present,’ he told UK newspapers. ‘It is as always, it’s got better and better and better and better and now it’s good. Yes, we will see. Liverpool paid a reported £39million for Fabinho, but Klopp has been unwilling to rush the midfielder. The German said Fabinho was a quiet character who needed time to settle at Liverpool. ‘He is more a rather reserved person – looking, watching, absorbing, and it always takes a little bit more time. But on the pitch, he is back now and that’s good,’ Klopp said. ‘You only have to watch a few YouTube videos of him. It’s not important what summary of a Monaco season you watch because he was good in all of them. ‘He has all the qualities – hard challenges, good offensively, defensively quick, good shooter, fantastic set-pieces, good header, all these things. He’s good strategically too in the right moment.